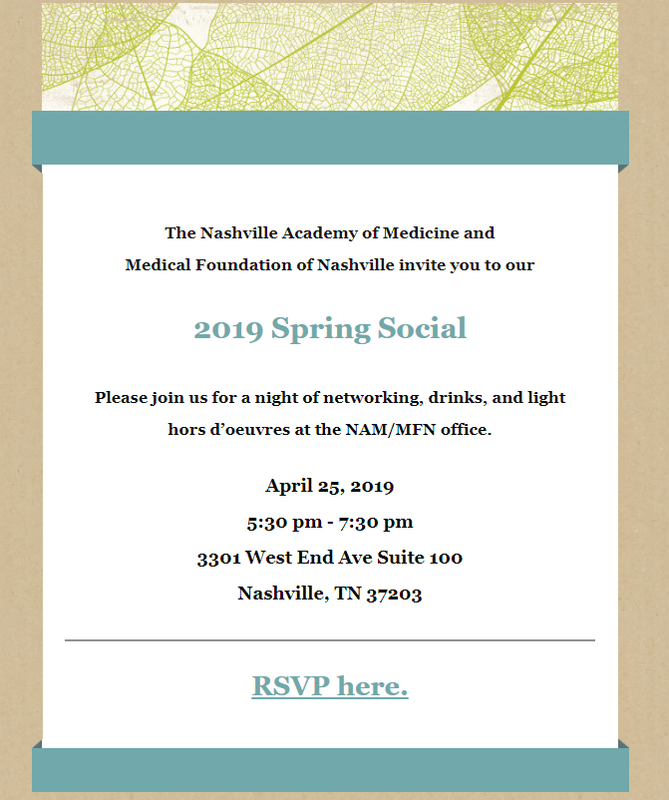 Since its founding in 1821, the Nashville Academy of Medicine has been the voice of physicians in the Nashville community. Maintaining the integrity of the medical profession and ensuring that physicians can continue to provide patients with excellent care has been our strength for generations.The Nashville Academy gives physicians a persuasive voice with government and regulatory agencies, so they can influence public policies and improve quality medical care for all Tennesseans. We support doctors with propriety education, peer-to-peer networking, leadership training, legal resources and other programs that help them grow personally and professionally. Become a member.